After transfer initiation, you may monitor the transfer status in your customer profile under the Domain Transfer section. The verification email has been sent to the registrant and/or the authorized contact, however we have not yet received a response. Check the email address you have specified upon domain registration (including the SPAM folder) for the verification email and confirm the transfer. The email contains a link that you need to click to confirm you would like the domain to be transferred to us. Check the 'I approve' option, which has been selected by default. If you have no access to the email address you have specified upon registration, cancel the transfer. Change your email address so that you can confirm the verification email and initiate a new transfer. * After changing the email address we recommend that you wait 24 hours before initiating a new transfer so that the new email address can be updated into the Whois register. The transfer request has been submitted. We are in a process of obtaining the current Whois data in order to generate data for the verification email. The account cannot transfer domains. The transfer has been canceled by the customer. The registrar has blocked queries to Whois for more than a week so the transfer request has been automatically canceled. Sometimes this is due to the fact that the domain contact information may have empty or not correctly filled fields. Make sure all data is correctly filled in Whois and request a new domain transfer. If within three days after requesting a new domain transfer the status is still the same, please contact the technical support team of SuperHosting.BG. The transfer has been canceled: within seven days as of transfer initiation the verification email sent by eNom has not been confirmed or declined on your behalf. Make sure you can access the email address entered upon the `Registrant Contact` and/or `Administrative Contact` field and you are enabled to confirm the verification email. In case you do not have access to the email address entered upon domain registration, change your email address so that you can confirm the verification email and initiate new transfer afterwards*. Another possible reason for transfer cancellation by the current registrar is that the user personally declares they want to cancel the transfer. This may be performed by confirming the link from the verification email sent by the current domain registrar. This domain has been registered and is already in your account. * This domain has been locked for transfer and displays a message: "REGISTRAR-LOCK", "REGISTRAR-HOLD", "REGISTRY-LOCK", "REGISTRY-HOLD", "REDEMPTION PERIOD" or "PENDING DELETE". Check the domain name for typos. If you find any, request a new transfer with the correct domain name. If there are no typos and you are sure the domain is registered, contact the technical support team. Another registrar has initiated a domain transfer request. If you have requested transfer by another registrar, log into your account at the other registrar and cancel the request. In case you have not requested such transfer, contact the registrant or the administrative contact and inform them that the transfer request they received is not initiated on your behalf. * The domain is locked at the losing registrar. * The domain has been registered or transferred less than 60 days ago. * The domain is “Expired” and it has been transferred to eNom’s account. * The domain is already in this account. If the domain has been locked at the losing registrar, contact them and request cancellation of the transfer ban. Afterwards initiate a new transfer request. If the domain is registered less than 60 days ago, wait for the period to pass and submit a new transfer request. If this domain is already in your account, no further actions are required. The domain does not exist (usually due to a typo in the transfer request) or is a top-level domain we do not support. If the domain name has not been typed correctly, submit a new transfer request with the name typed correctly. If we do not support this type of domains we cannot accept the transfer request. Transfer canceled due to an invalid EPP/authorization key. Contact your current registrar and request a new authorization key. After getting it, initiate a new transfer request. If this transfer was completed, the expiration date of this domain would exceed ICANN's limit of 10 years from today's date. Wait until the domain name's expiration date is 9 years or less from today, then submit a new transfer order. Registrant information is not provided. Provide valid registrant information, then submit a new transfer request. This domain name is listed in another transfer request on eNom (though not necessarily to this eNom account). Check the domain transfer status. If there is another transfer request for this domain no further actions are required - the second transfer request will be automatically canceled. If the other transfer order wasn't submitted from any of your accounts, contact the registrant and administrative contact for the domain and alert them that they may receive a fraudulent transfer request, which they should refuse. The losing registrar has rejected the transfer request. One possible reason might be a ban on the domain transfer. Some registrars impose such bans if the domain settings or the contact information was changed by the domain owner. Based on the policy of these registrars, 60 days after the changes are made, the domain remains locked and may not be transferred. Another possible reason for transfer cancellation by the current registrar is that the user personally declares that they want to cancel the transfer. This may be performed by confirming the link from the verification email sent by the current domain registrar. Contact the losing registrar, resolve the reasons they rejected the transfer, and submit a new transfer request. If you cannot deal with the issue with the losing registrar, contact our technical support team. Your transfer request has been terminated due to unknown reasons. Submit a new transfer request. If the request is denied once again, contact our technical support team. The Whois information provided in the transfer request does not match the current registrant. Correct the Whois information at the losing registrar, then resubmit the transfer request. The domain is in the process of transferring to eNom. Transfer has been approved and the losing registrar is in the process of releasing the domain. The domain is in the process of transferring to eNom. Transfer has been approved and losing registrar is in the process of releasing the domain. The transfer request has been manually canceled by you. Transfer request is created but the user did not click the final "submit" button. The domain has been successfully transferred. 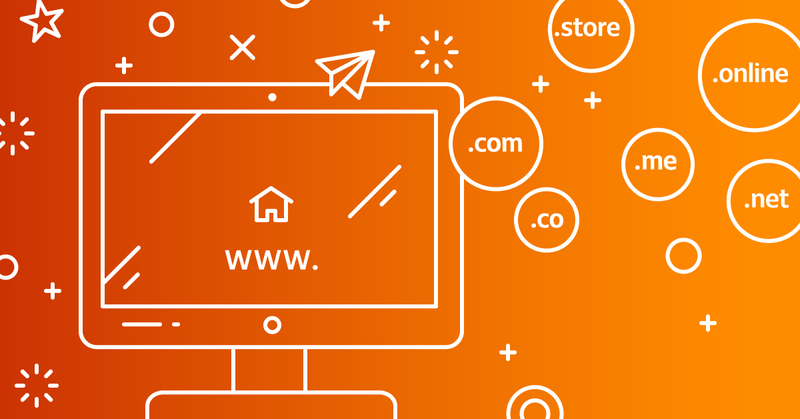 When you transfer a domain the domain's settings do not change, except in cases where there is incomplete contact information for the domain before the transfer. In this case, it is possible that after the transfer, these details will be automatically replaced with our details. Make sure your domain contact details are correct. Unable to complete transfer. Transfers must include a change in registrar. The domain is already added to this account. The Whois at the losing registrar is not accepting requests.